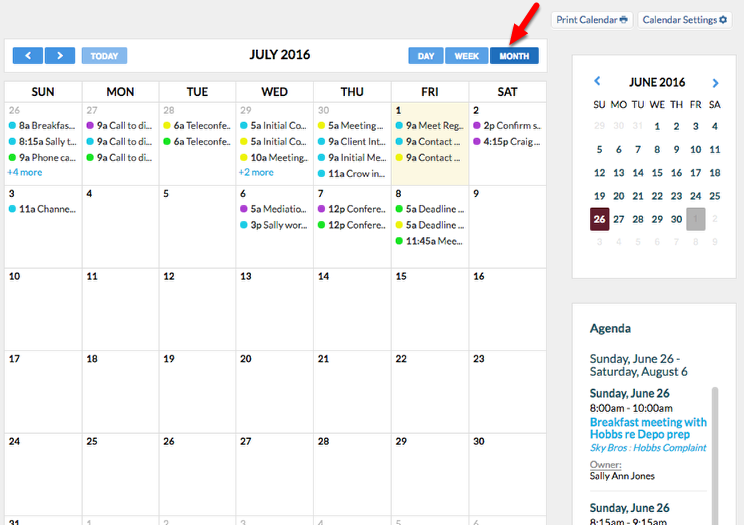 Rocket Matter Knowledge Base CalendarHow to print your firm calendar. 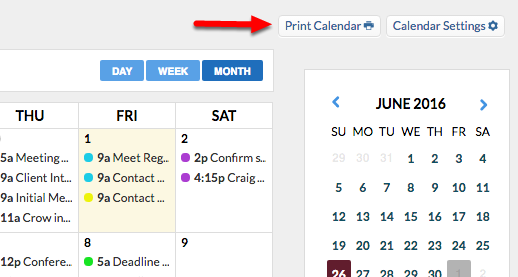 Now you can print your Firm Calendar in Daily, Weekly, or Monthly view! 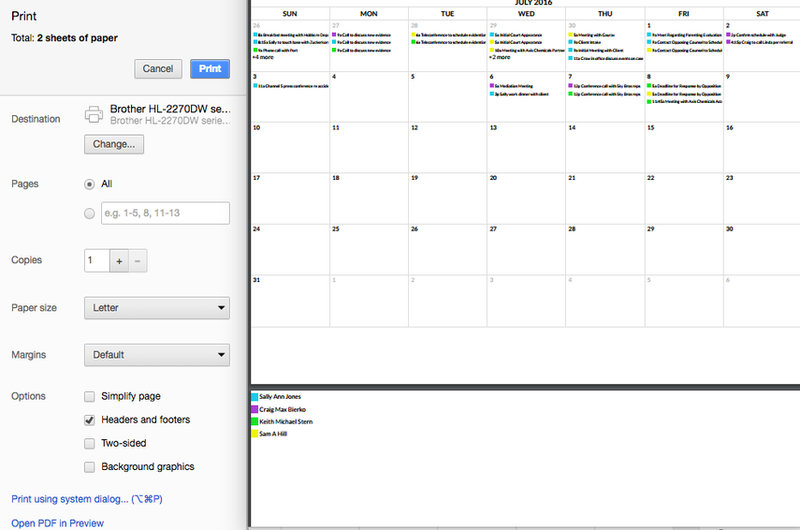 Calendars can be printed using several different browsers. The screenshots presented here were taken while using Chrome. Your Print Views may look different if you are using Firefox, IE, or Safari. 1. Click "Calendar" on your navigation panel. 2. Select your preferred view:Day, Week or Month. 4. Review your Browsers "Print Preview" menu, and select "Print". Zoom: 4. &nbsp;Review your Browsers &quot;Print Preview&quot; menu, and select &quot;Print&quot;. Note: Your Pre-previews and print queues will vary based on the type of computer, browser and printer you are using. 5. View your printed calendar! 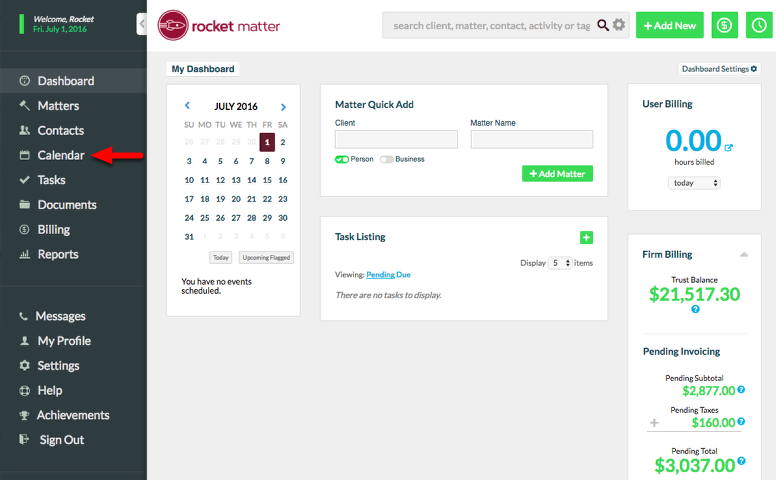 Note: Rocket Matter adds an additional page when you print your Monthly View which features a "Key" of all the User's featured on the calendar and their corresponding calendar colors. 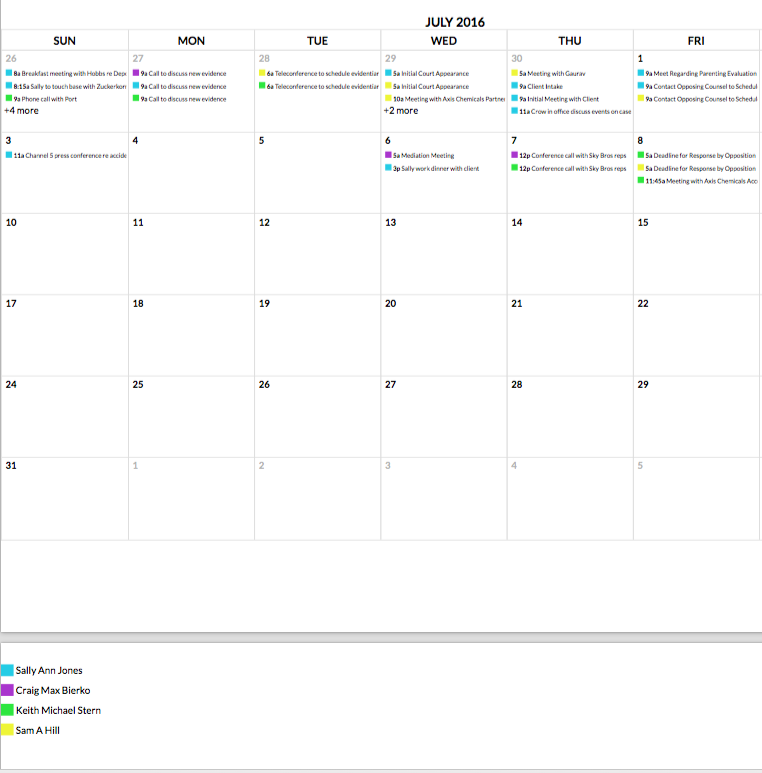 Prev: How do I change my firm calendar to show all events.